Up the Boro: Snugboro celebrate winning the League One title. Photo: Snugboro United. Tomorrow evening sees the Connacht Gold Super Cup quarterfinals down for decision as the league action takes a backseat for a weekend. The line-up sees Ballyglass host league leaders Westport United, Straide and Foxford United will tangle with Castlebar Celtic in Celtic Park, Achill Rovers will host Glenhest Rovers, and Ballyheane will travel north to take on Ballina Town. In the Connacht Gold Premier Cup last eight the newly crowned League One champions Snugboro United will travel to Hollister, Crossmolina will host Ballyhaunis Town, Castlebar Celtic B will welcome Kilmore, and Partry Athletic will make the trip to Fahy Rovers. All of these games will kick off at 6pm. After last weekend's league action it is as we were at the top of the table, Westport United made it eight wins in a row with a 3-1 win over Ballyheane. Phil Keegan, Darren Browne, and Peter Corcoran found the net for Westport in the win. Manulla kept up their chase thanks to a 5-0 win over Achill Rovers. Jesse Devers bagged four goals and Andrew Shally scored the other to keep the Carramore outfit on the heels of Westport United at the top of the table. Castlebar Celtic and Claremorris played out a 3-3 draw, Gary Concannon bagged a hat-trick for Celtic, with Derek Glynn and Dean Roddy's strikes along with an own goal saw the south Mayo side take a point. Straide and Foxford United were impressive 5-1 winners over Glenhest Rovers with Paul Moran, John Durkan, Chris Downey, Stephen Moyles, and Johnny Cocozza all getting goals for them last weekend. Ballina Town were 4-1 winners at home against Ballyglass with Jamie Cawley, Dylan McKee, Benny Lavelle, and Luke Honan all finding the net. In the Premier Division, Kiltimagh/Knock United moved closer to promotion to the Super League with a 3-0 win away to Bangor Hibs and all they need is one more win to get promotion to the top flight. 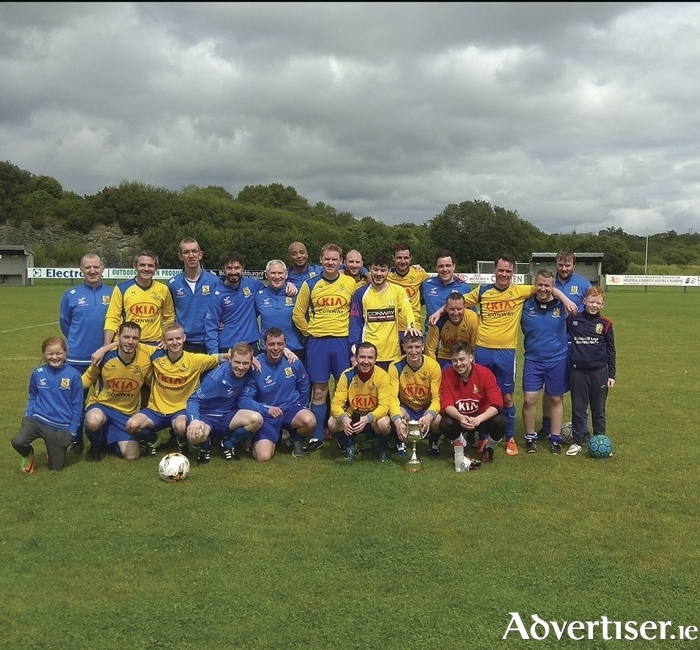 Iorras Aontaithe who wrapped up promotion back to the top flight a few weeks ago are now just one point off claiming the title after a 5-2 win over Ballyhaunis Town. Snugboro United were crowned Solar 21 League One champions following their 5-0 win over Mulranny United, completing a league and a cup double for the Conway Park outfit.